MAKE MINE MYSTERY: What About Subplots? My take is subplots make a book more interesting, as long as there aren't a bunch of them and they're not too confusing. That's why I make mine very clear and, although I may have a mini-subplot, there's only one true subplot. If I get into books with too many of them, I don't finish reading the book because it becomes more difficult than entertaining. Sometimes I have more fun with subplots than the main plot. My Kate Caraway series has a backstory subplot running through each book. How neat, Kathleen. I feel the same way. In my published book, I favored the subplot over the main one. In my work-in-progress, I think the subplot makes the book. I believe subplots enrich the quality and depth of a novel, particularly when they intersect. This is especially true of mystery novels. I find it hard to write even a short story without a subplot. It seems my main character or a secondary character always has something going on that adds a little something extra to the story. I don't always plan for it, but when it happens, I welcome it. In real life, we all have to chew gum and talk at the same time. It should be the same with our fictional people. You're going to be great in Nashville, Linda. I wish I could be there. I love subplots--they add interest and depth to novels. One thing I find interesting about series is that it's often the subplots that tie the series together. I'm thinking, for example, of M.C. Beaton's Hamish Macbeth series. In that series, Hamish's love life is one of the threads carried through each book. The main story of each novel is the mystery, but throughout the series there's a great arc of Hamish's love life, too. At first I wondered how Earl Staggs could get a subplot into a short story and then I realized I've done it more times than not and surprised myself. Amy's comparison to Hamish McBeth's love-life subplot carrying over in each series is a good one. I've read a number of books in that series and I got it. I too love to include a subplot. It adds texture to the main plot and makes it more realistic. Real life, after all, is an ongoing tangle of subplots. But I believe it should have a connection to the main plot, either reinforcing or contrasting its message. All the better, if it intensifies the climax. Thank you, Linda, for shedding light on this topic. June Trop, author of the Miriam bat Isaac Mystery Series. June Trop, I thank you. 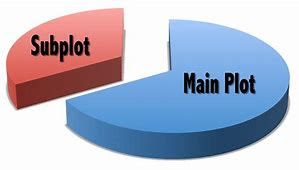 I have seen subplots that were separated from the main plot and the author managed to make it work well (in most cases). I'm like you though, I don't want to chance it. It's hard enough to write our story, so the author is aware of the storyline. Why add anything that wouldn't support that main story? Linda, I missed your subplots panel at Killer Nashville but it's a key to creating complex storylines. I love a subplot that weaves throughout a series, propelled by a central question that keeps readers guessing. Will Harry ultimately meet and defeat Voldemort is probably the best known. I've done the same in my detective series and reader email is probably the best indicator that it's working! I enjoyed all sides of this subplot issue. The comments seemed to range from free interaction to artistic restraint in the use of subplots. Linda, because I know the subplot of your newest book is true, I can't wait to see how it dovetails with the main plot of "Promotion to Die For." Personally, I'm working on a play about a group of women spending a weekend at a beach house. Because this is an ensemble piece, I'm wrestling with whose "inciting event" leads most naturally to the inevitable climax. In July, I attended a play reading in which the two parallel sub plots (the backstory of two groups of travelers set to board the Titanic and then their actual meeting on the voyage) merged into one plot out of necessity because the historical climax could not be changed. I just noticed I had more comments - very interesting and diverse ones and I thank you. Another type of subplot is one that isn't that connected with the main one. Its a "side" story or you might call it a parallel story. This is what I'm doing in my work in progress. I have to be very careful though because this type of subplot is more likely to flop and not move the main story along. On my subplot panel at Killer Nashville last week, someone on the panel brought up the subplot in Lawrence Block's book, Eight Million Ways to Die. It is a side story about the lead character's alcoholism. I read that book, and this side story did not connect with the murder mystery, yet it was the very best subplot I've ever read and, too me, it caused the ending of the book to be the best book ending I've ever read.